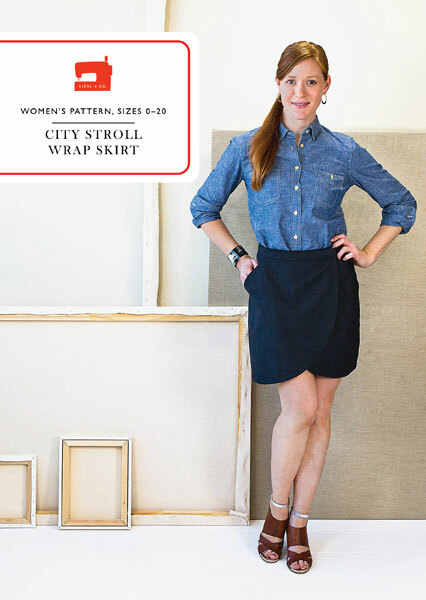 Share your photos on Instagram with the hashtags #citystrollskirt and #lieslandco. * Pocket lining and hem facing. Waist 27 1/2" 28 1/2" 29 1/2" 30 1/2" 31 1/2" 32 1/2"
Hip 37" 38" 39" 40" 41" 42"
Length* 17 1/2" 17 3/4" 18" 18 1/4" 18 1/2" 18 3/4"
Hip 43 1/2" 45" 46 1/2" 48 1/2" 50 1/2"
Length* 19" 19 1/4" 19 1/2" 19 3/4" 20"
I've been looking for an easy wrap skirt to put on top of bike shorts on cycling trips, and this pattern was perfect. I didn't even know I wanted pockets until I saw the pattern. I did it with a knit fabric and it turned out fabulous. I think I'm going to adjust the pattern and make it fully lined for a second skirt. The instructions were perfect and everything went together easily. I made this for my very active daughter to,wear to work. I also thought it would make a nice Travel skirt. Easy to put together, love the pocket feature. Quick and fun, with a professional look! I just finished my first City Stroll Skirt. I must say: I am very satisfied with this sewing project, very proud of the result and it was very fun sewing this skirt. I really enjoyed how it all came together. It is easy to sew, not time consuming at all, but still looks so professional and neat! Like all the other reviewers already mentioned. It is all true. The only "hint" I have is: chose a fabric with at least a little drape and not too much "stand". Drape is much better for this pattern than too "sturdy" and heavy fabrics - I believe. 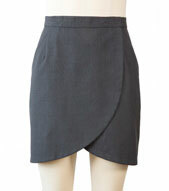 It also might help as this is a "wrap skirt" which, naturally, opens a bit when you are sitting with it. I will definitely make a second one. I made a muslin before I sewed this skirt as being a pear-shape I tend to find waists are too large if I go for a size based on my hip measurements. I marked the muslin with sizes for size 14 to size 10 and went for a size 12 which I then blended to a 10 from hips to waist and I also took out the pockets (they tend to 'scrumple-up' on me) and added 2" to the length. I'm 5'6" and adding 2" took the length at the longest point to my just sitting on my knees. The skirt came out looking lovely, like shop bought, and fits very well and looks very smart when worn. I will definitely be making more in a variety of fabrics/lengths in the future for both work/casual wear. I may even put the pockets back in! Please can you do a tutorial for adding lining or recommend a method for doing so for winter skirts? I am returning to garment sewing after many years and my confidence level is not high. I have made a small handful of garments so far and my City Stroll skirt is so far the most successful, I think. The pdf pattern was easy to put together and the instructions were intuitive and helpful. Some things I like: I was able to squeeze the skirt out of a small amount of fabric, there are crisp elements like the faced hem as well as comfort elements like pockets, it came together pretty quickly. This is the only garment I've made so far that doesn't scream "homemade!" and I feel amazing in it. I'm not quite 5'2 so if I put the waistband at my actual waist the unmodified skirt length is probably a bit long on me but I like the skirt hitting in those two places. I don't know what the technical name is for the thrifted fabric I used - I would call it "a soft, bottom weight linen-like cotton". 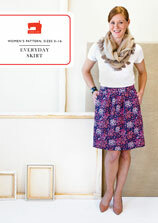 I've already cut out my second skirt and I am also eager to try other patterns from this company. I am truly grateful for the great instructions and the great information. C'est toujours un plaisir de coudre un patron Oliver+s. Taille impeccable, poches parfaites, et si tout est facile à coudre ( peu de pièces, rien de trop technique), les details sont soignés. Vivement une traduction en Français ! It's always such a pleasure to sew Oliver+s. Fits perfectly, pockets ( oh! pockets! )... If it's an easy to sew pattern, they don't forget nice details. I do wish for a French translation one of this days ! 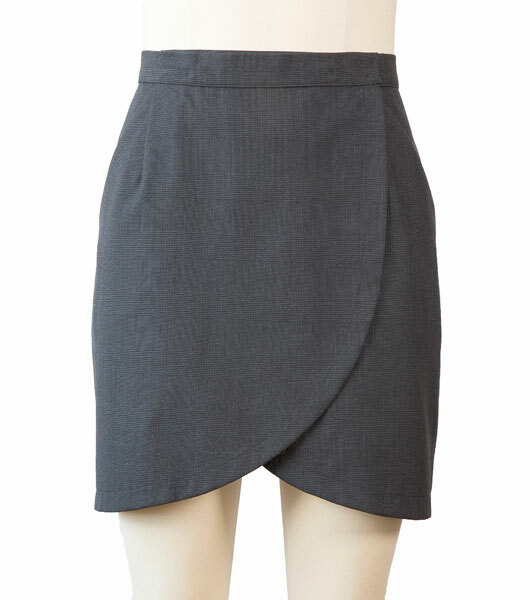 I made this skirt in a size 10 for my teenage daughter for the recent forum monochrome project. I originally made the 8 but felt it didn't quite come over at the front right so sizing up proved to be successful. She loves it and is comfortable in it. It is just the right length on my her tall slender figure. I would lengthen if you find it too short - it is very easy to do. This style will suit any age, young old or inbetween. I plan to make it again soon. Pattern is nicely drafted and the instructions make for a nicely finished skirt. 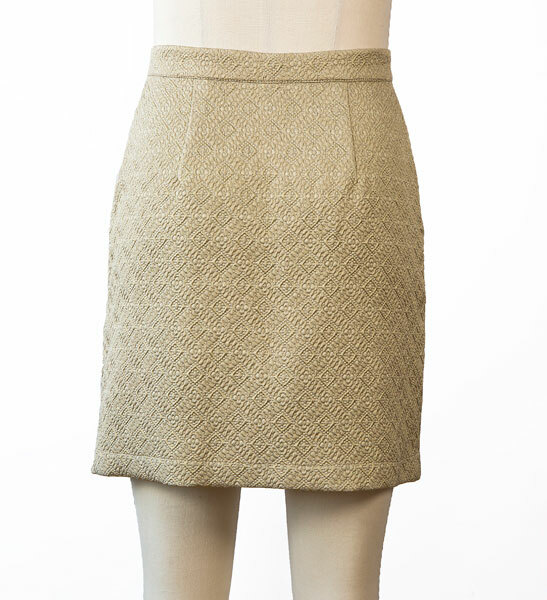 The skirt is pretty easy to put together and so would be great for beginners. This pattern is excellent. The skirt comes together really easily and the end product looks very professional. It is comfortable and easy to wear and the roomy pockets have plenty of space for a cell phone, tissues or a small purse. I made the skirt this weekend. Instructions were very clear and easy to follow, in fact the construction is very simple. 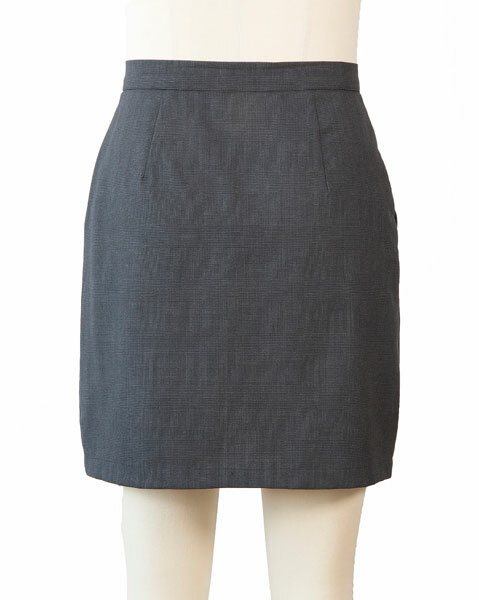 The skirt looks smart even though I made it in chambray. I expect I will be making some more of these. I had to concentrate to do the 1/2" seam allowances. I've made this skirt twice and it's the homemade garment that I get the most compliments on when I wear! I am 5' 7" and size 14. It is a little short for work but is fine for casual wear. 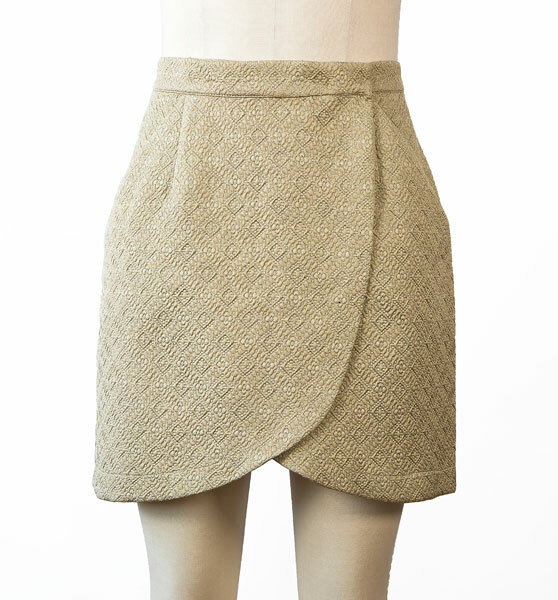 I plan to make a few more as I am more comfortable in skirts than shorts during the summer. I just finished sewing this skirt. I am 5'0" and the skirt in size 8 sews up at a nice length for me, not too short. I made it up in a navy cotton gabardine which is a bit heavier weight and it feels great. 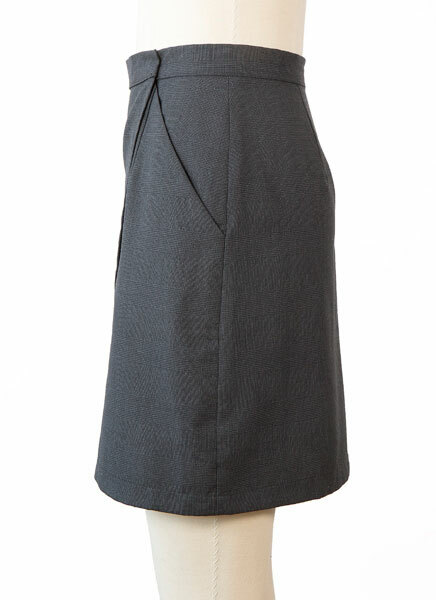 The waist fits very well and it is nicely finished with the hem facing. The next time I plan to lengthen the pattern and make it longer in a wool for wearing in the fall with boots. It is a delight to sew, quick to finish. I love the way this pattern works up. Discussion on the digital city stroll wrap skirt sewing pattern from the Oliver + S Discussion Forums. Find and share more photos on Instagram using the hashtags #citystrollskirt and #lieslandco.